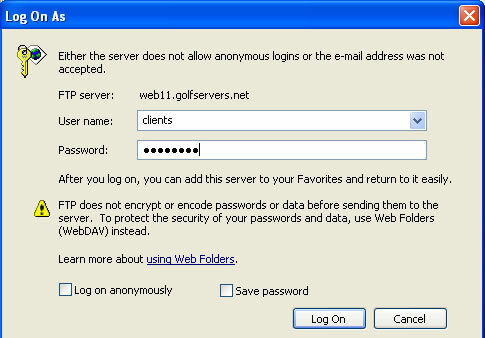 Open up Internet Explorer and type in ftp://web11.golfservers.net in the address bar and then hit enter. 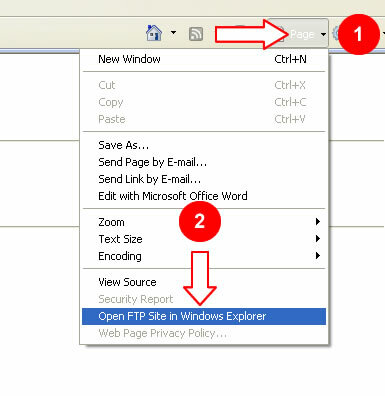 Next you will see a screen that says the follow: "To view this FTP site in Windows Explorer, click Page, and then click Open FTP Site in Windows Explorer." 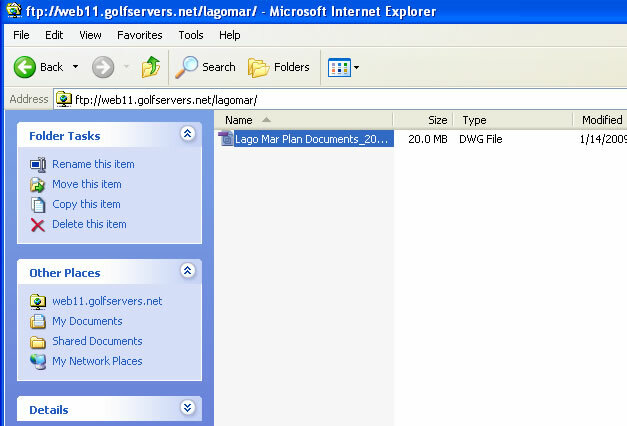 Click on the icon located in the far right corner called "Page" and select "Open FTP Site in Windows Explorer." Now enter the username and password and click "Log On". This information should have been sent to you by the client. Next you will see Windows Explorer open. A listing of all folders and files will open. Locate the file that you wish to download and double click on it. 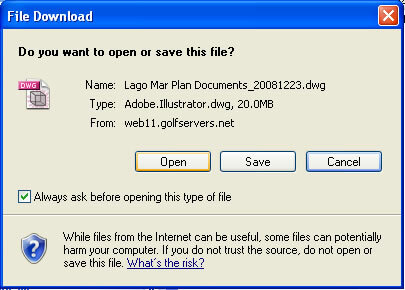 You will then be prompted to "Open", "Save" or "Cancel". Select the desired action. Once you have finished with the files you can close Windows Explorer.